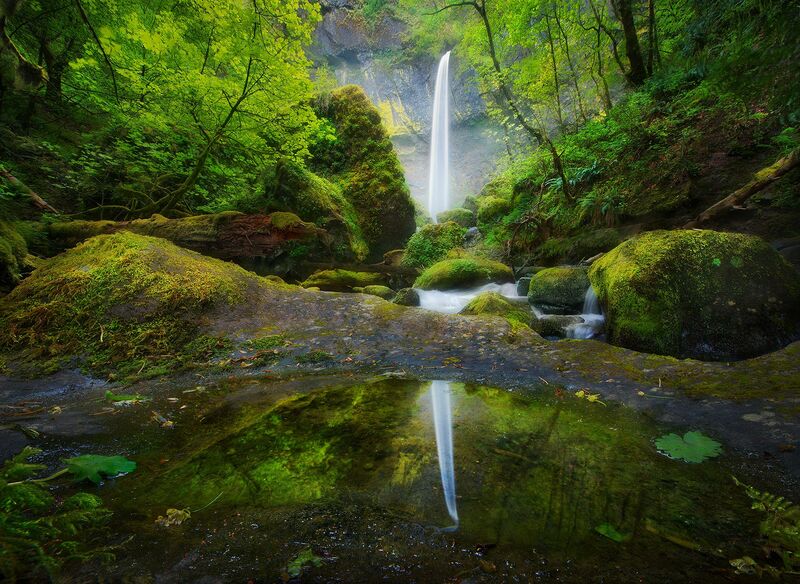 A spring reflection of Elowah Falls in Oregon's Columbia River Gorge. This unique (and then subsequently much-copied) perspective was achieved using an ultra-wide lens and blending focal points for extreme depth of field. Photo © copyright by Marc Adamus.